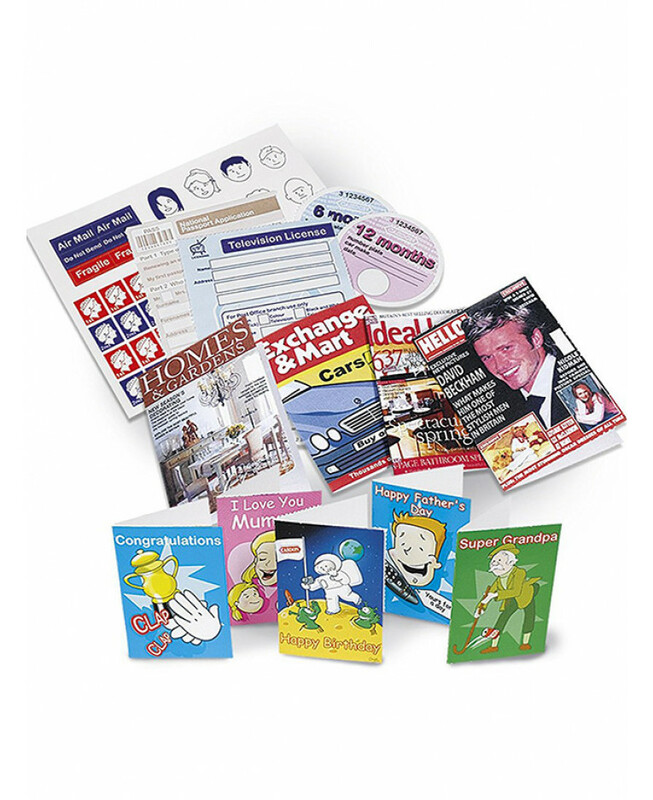 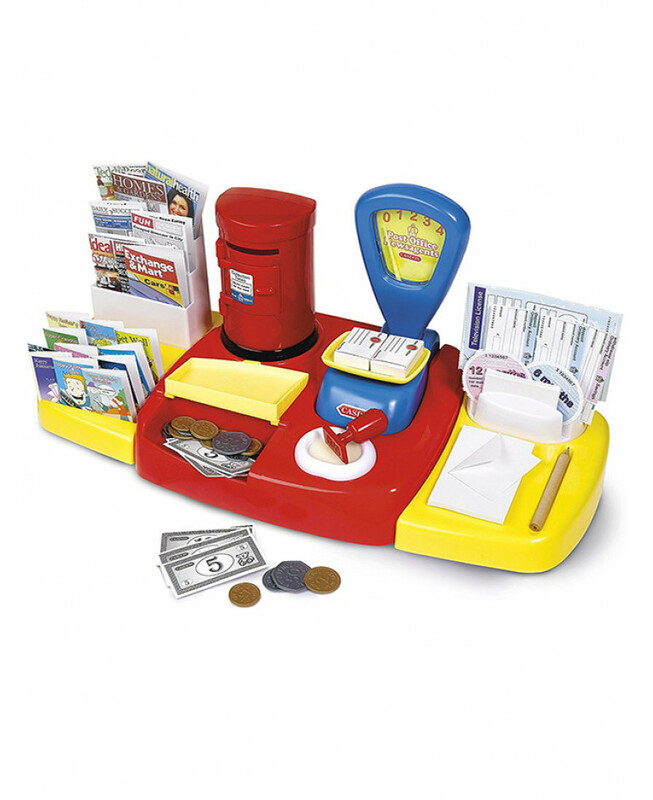 This Post Office Set from Casdon provides hours of role-play fun! 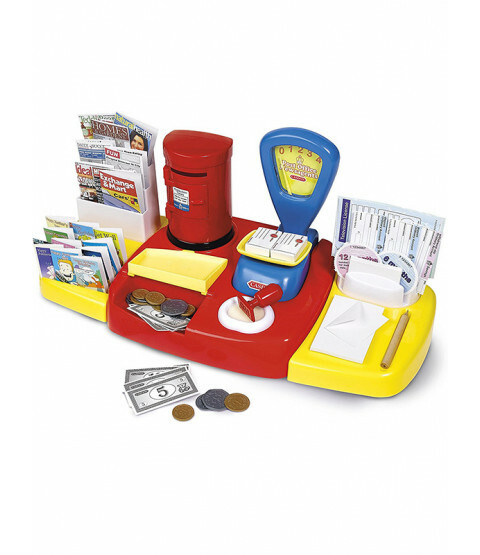 Perfect for playing shop, it comes with lots of accessories and features an opening post box and cash drawer with a date stamp, magazines, newspapers, envelopes, post cards and vehicle licence forms. 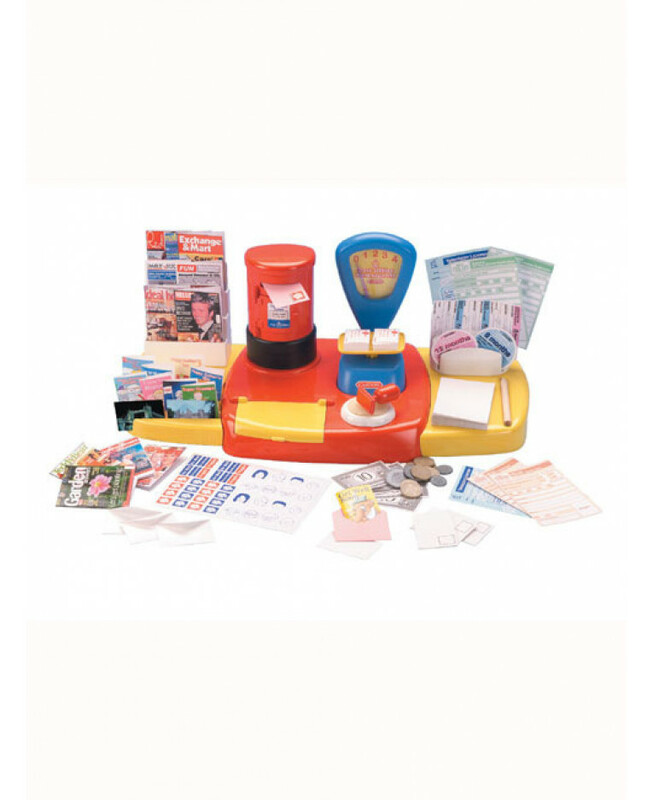 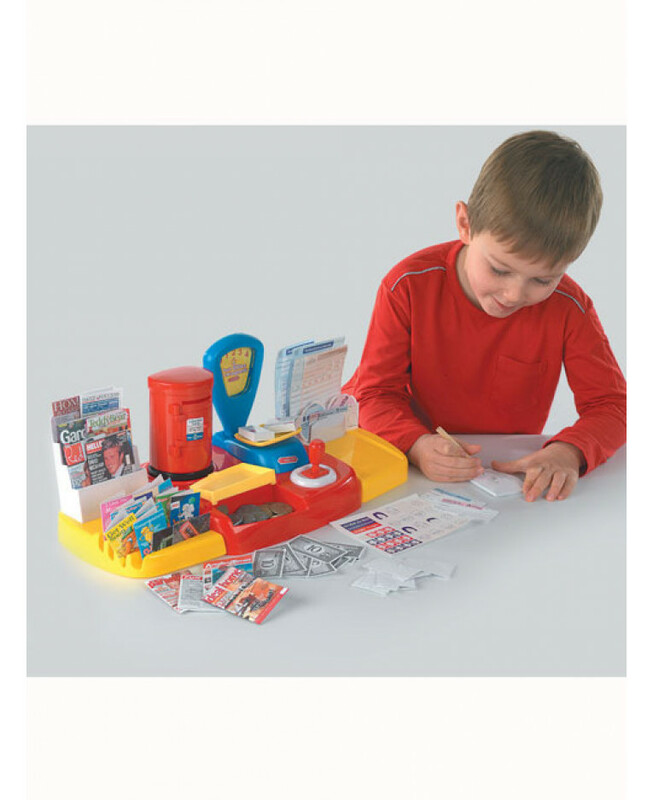 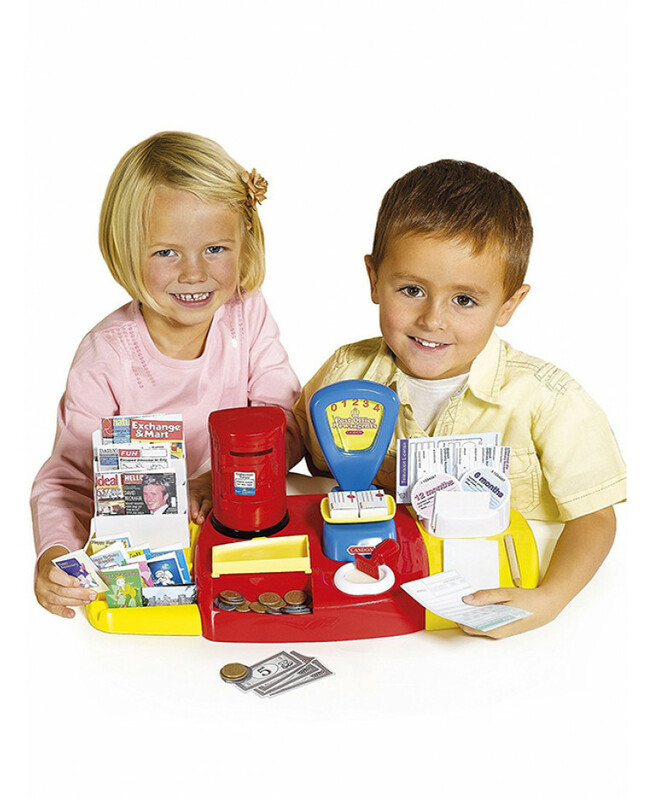 Not only is it a fun role-play toy, but this post office play set also assists with the development of hand-to-eye-coordination, problem solving and motor skills, whilst the weighing scales and play money develop counting skills.